Purchasing a home is a long-term goal for many, but for singles, with half the income to apply for a mortgage, homeownership can seem more like a dream than a reality; however, it's a dream that lives. 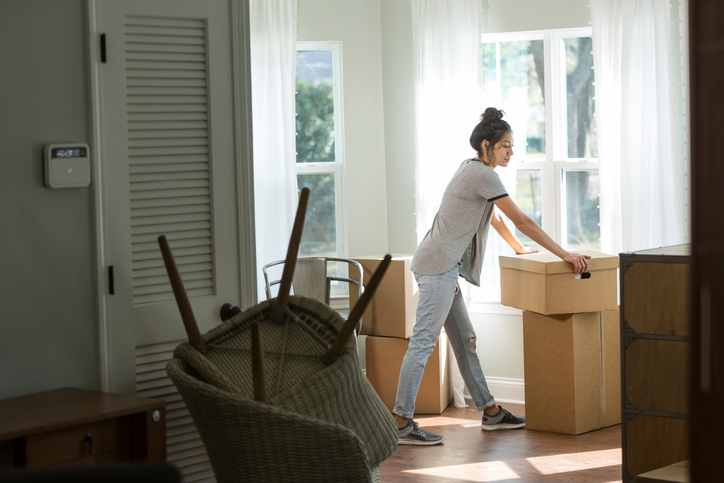 According to a poll from the National Association of REALTORS®, 83 percent of renters have a desire to own their home, both single and otherwise. And while married couples still reign as the top candidates for homeownership, singles are moving swiftly into the housing market in several areas of the country. 1. Chesapeake, Va. There are a whopping 83,300 households in Chesapeake, the third-most populous city in Virginia. Of those homes, nearly 19,000 are made up of one-person units, and over 12,000 (64 percent) of these solo dwellers own their residences. But single folks aren't the only ones owning: the city-wide homeownership rate is nearly 71 percent. 2. Virginia Beach, Va. Virginia is in the win again. This coastal city, not far from Chesapeake, is also popular with singles. Here, one-person homes make up a quarter of the housing stock, with 57 percent of these homes owned by their residents. 3. Aurora, Colo. With a population of around 361,700, 26 percent of households in Aurora are taken by singles, with a 55/45 split of owners to renters. Another thing that makes this city unique? The age of its single owners. Unlike the top two cities, where many reigning singles are retirees, less than 40 percent of single owners in Aurora are in their golden years. 4. Chandler, Ariz. This city, just southeast of Phoenix, has a high overall homeownership rate of about 61 percent, and young singles are high in the mix. Topping Aurora's numbers, seniors make up only 38 percent of all single homeowners. 5. Henderson, Nev. Fifty-three percent of singles own their home in Henderson, and that number is growing. This is even more impressive when you factor in home prices. The median home price here is $291,100, which means single folks in Henderson are making some smart financial moves to be able to afford owning here on their own. For the next five cities on the list, as well as more SmartAsset data and insight, visit the full study breakdown here.